Jay Bothroyd was already tweeting his delight on the internet as news filtered through of his England selection after his goal-scoring display for Cardiff City against Scunthorpe, and no-one was grinning more than his club manager Dave Jones. "Hard work. That's how I'd describe him," Jones, who is widely accredited as getting the best out of the player, told BBC Radio 5 live's Sportsweek programme. "He's what we call high maintenance. But he is a lovely lad, he wants to do well. "Most footballers are high maintenance. Sometimes players get a reputation with other clubs. You only find out when you work with them and he is a genuine and honest player." 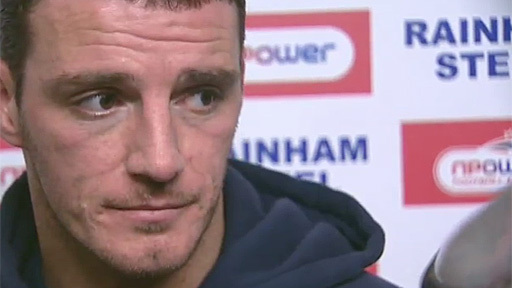 Even if Bothroyd does not make it on to the Wembley turf to take on France on Wednesday night, his inclusion in England manager Fabio Capello's squad is a comeback story which very few saw coming. Talk to Cardiff City fans of course and they will be in no doubt the 28-year-old is deserving of his place, and with good reason. That brace of goals against Scunthorpe takes his tally to 15 for the season and seasoned football folk clearly noticed his absence in the Championship derby with Swansea City. Cardiff lost for starters. Whether his inclusion would have made the difference is open to debate, but with respect to his replacement Andy Keogh, who is a different sort of striker, pundits noted that any high ball played up to the Cardiff front line just wasn't met with the same level of composure and quality. It prompted claims that Bothroyd was the Bluebirds' most vital player, some boast considering Craig Bellamy plays in the same team. 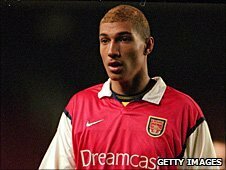 Born and raised in Islington, it seemed only appropriate that a player of Bothroyd's considerable natural talent should start his career at Arsenal, a club where so many young boys in north London dream of playing and he certainly joined the Gunners at a turning point in the club's history. Arsenal manager Arsene Wenger had not long been at Highbury and was already shaping the club for arguably their most successful period and one wonders if fate had played another card then Bothroyd would have been part of that glorious era too. But, as so often happens in football, plans can go awry and his abrupt departure from Arsenal for throwing his shirt at the bench during an academy game was an early sign of a reputation that was to follow him on a nomadic and unsettled footballing journey. His next stop was Highfield Road where he had spend three years with Coventry City, interestingly linking up for the first time with Craig Bellamy. Bothroyd picked up his first red card with the Sky Blues but the 2002-2003 season did see him finish as the club's top-scorer with 11 goals, yet he did not stick around after his contract expired. He joined Perugia in Italy in what seemed an impulsive move. The striker was not the most high-profile name at the club, far from it. That role was taken by midfielder Saadi Gaddafi, son of Libyan leader Colonel Gaddafi. If Bothroyd was seeking stability than he looked to have been in the wrong place - after all, this was a club that had sacked South Korea striker Ahn Jung-Hwan for his winning goal against Italy in the 2002 World Cup. An Italian adventure was followed by a swift move back to the UK. An unsuccessful spell on loan with Blackburn was followed by moves to Charlton, Wolves and Stoke. All pretty uneventful in a career which looked destined to be outside the top flight. 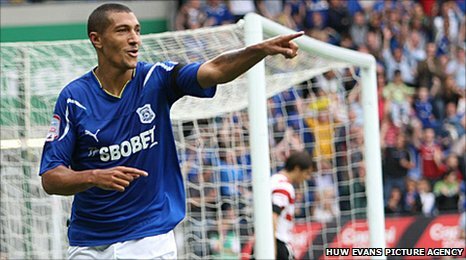 But it was Bothroyd's arrival in south Wales in 2009 which saw the start of a stunning career resurrection. Awards and goals have followed. He has even worn the captain's armband on a few occasions. Rebel? Journeyman? High maintenance? 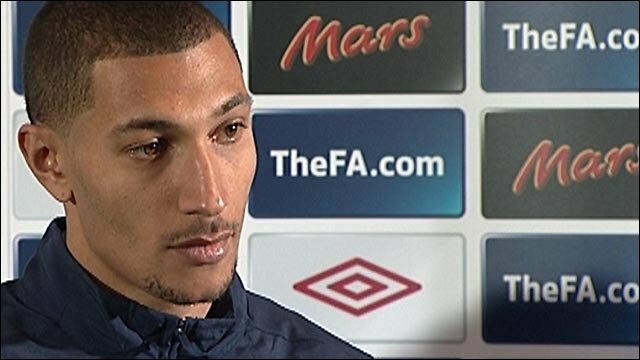 He may be all of those things but Bothroyd may soon be able to add England international to that list.